﻿- Creator of the Aumbience co; recording, mixing and producing various sounds, songs and meditative albums. In spare time - Creative Writer - Wandering traveller & all around Yoga teacher. 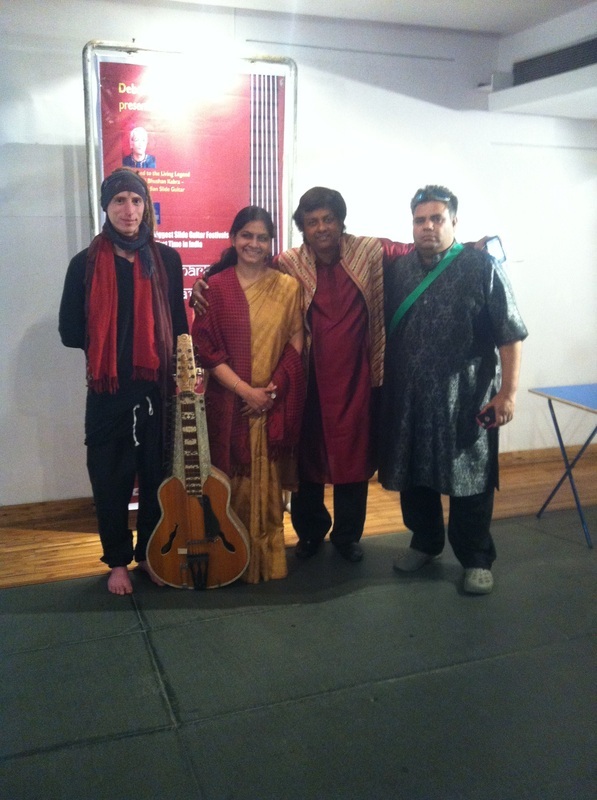 (Currently studying Indian Classical Music with Renowned International Slide-Guitarist Pandit Debashish Battacharia from Kalkatta). Recently finished project: 2014 album Kundalini Rising - a playfully innovative approach to the vastly but deeply profound topic of the energetic system known in the ancient language of Sankrit as the Kundalini Shakti - the life energy of all. ﻿Rather than being to formal on theory alone, the album is intended to be an explorative journey that is - both dynamic and meditative, playful yet engaging, chaotic but melodic, provocative but informative - traditional but modern and representative in such a way that it can be related to the contemporary world in which all these facets are in coexistence. The music should be represented in context and in relation to one's own life - it should be reflective to both the inner and outer journeys of our experience and feelings of the music; thus it becomes something more deep and personal than just a systematic guideline from the 'textbook'. Considering a single life to be of limitless potential to each personified existence. In response, this album is an attempt to take on a more expressive representation of a musical and experiential interpretation of each chakra - combining mood, theme and the various tattvwas or elements to a general feeling and particular understanding/ insight to what the chakras are, analysing the mood and form only after it has naturally formed itself within the structure of the music. Although on that note; one does not expect everyone to agree or resonate to a particular interpretation of the chakras via the albums own musical canvas, just as everyone is a unique individual being, so too are the various chakras within each of us, all of which are functioning and influencing our lives to greater or lesser degrees. Thus its no surprise ancient historians have used music and song lyrics of the past to also reflect the state and characteristics of a particular society. 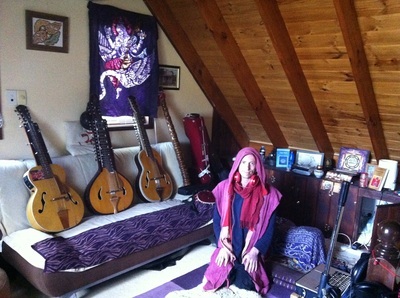 Using 90% live acoustic instruments to convey these themes and having them tuned in harmony to the ancient and currently awakening frequency of 432Hz ( a more embedded frequency that is naturally aligned with the formations of the cosmos for more info: attunedvibrations.com ) with a mix of live recordings from nature, fused with the modern day advancements of technology to create the structural backbones for each chakra. 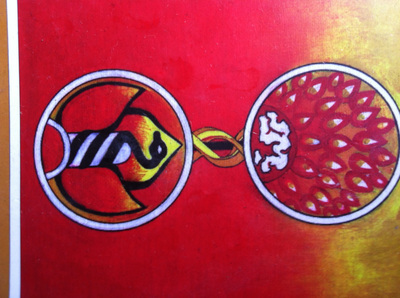 Some people say, this chakra is this colour, and that chakra is that colour, but again this is only a guideline of someone’s own particular experience which they are relating for a general benefit; but may however not be necessarily the same for anybody else. Even ones own perception of what chakras are; is and certainly will only ever continue to change and evolve alongside ones own journey and awakening through life. So rather than personify them completely to oneself, the main dimensions of the Chakras attempted to display in the album are the elemental themes and references to Chakra psychology, I.e Mooladhara - Earth - Grounding, support, structure and also with reference to the Granthis, (psychic knots) here Brahma Granthi representing attachment to the physical and material world. Working predominately with a loop machine, each chakra/ track has been recorded in a live flow, meaning the tracks simultaneously were recorded while spontaneously jammed along, adding various new instruments one by one as the loop continued to build in layers, energy and ultimately atmosphere. This incidentally seems to be a strong parallel to the concept of the chakras, which translates to vortex or cycle of energy - in other words a loop of force and current that builds upon itself over time to create various fields and dimensions to become manifest, each chakra resonating with the other in order to create and sustain human existence. By building upon each layer of sound with further added melodic harmonies, percussive cymbals and rhythmical patterns, a simple groove so to say can suddenly be transformed into something highly complex and even somewhat epic. Through the melodies of the ‘Modern day Veena' (Mohan Veena/ Hindustani Slide Guitar), the drone of the ‘Didge’, with rich rhythmic tapestry of the Tabla and the healing chants from the ancient language of Sanskrit combined with the innate wisdom of the heart; conveys the ascension of the mythical kundalini Rising as it travels through the various chakras back to its source of creation. Special gratitude to the additional Voices : Swami Satyadharma of Mangrove Mountain Ashram for her continual shining wisdom across the deep fathomless yogic concepts of Kundalini, tantra, mantra, yantra, chakra, sadhana etc etc and for allowing me to use her recordings within the album itself. 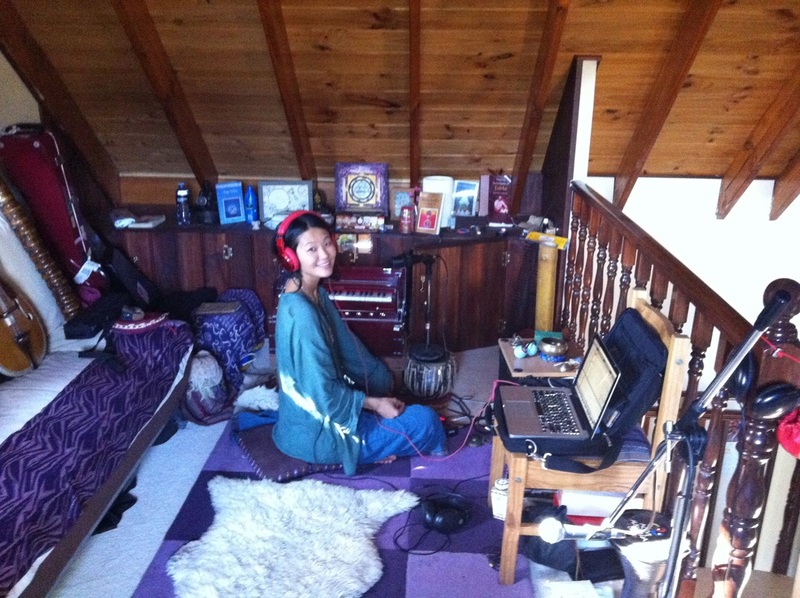 & Mico Sundari for becoming the spontaneous shakti force and voice in collaboration to the final product of this album - everything having being recorded during first takes only. And all the great Sages, Mages, Gurus and Teachers of all the ancient traditions of the world for the continuation in preservation and maintenance in upholding what is sacred and important to this life - and especially to those who also travelled abroad in order to play the pivotal role of the sharing and integration of that knowledge and philosophy to the western world.